NEW ORLEANS, Louisiana (AFP) – BP readied for a "top kill" process to cap a massive oil leak as a preliminary inquiry showed multiple warning signs preceded the rig blast that unleashed the spill. (AFP) A BP cleanup crew shovels oil from a beach at Port Fourchon, Louisiana. Piling the pressure on British Petroleum, which leased the doomed Deepwater Horizon oil rig, President Barack Obama announced he would make a second trip to the region, where an expanded fishing ban deepened frustrations. BP had talked up the possibility of finally capping the leak, which is spewing hundreds of thousands of gallons of oil a day, but seemed less confident as it approached the attempt, which involves smothering the leak with heavy drilling fluid then sealing it with concrete. "If it was on land we would have a very high confidence of success, but... we need to be realistic about the issues around operating in a mile of water," BP CEO Tony Hayward told reporters on Monday. "We rate the probability of the success somewhere between 60 percent and 70 percent," he said. 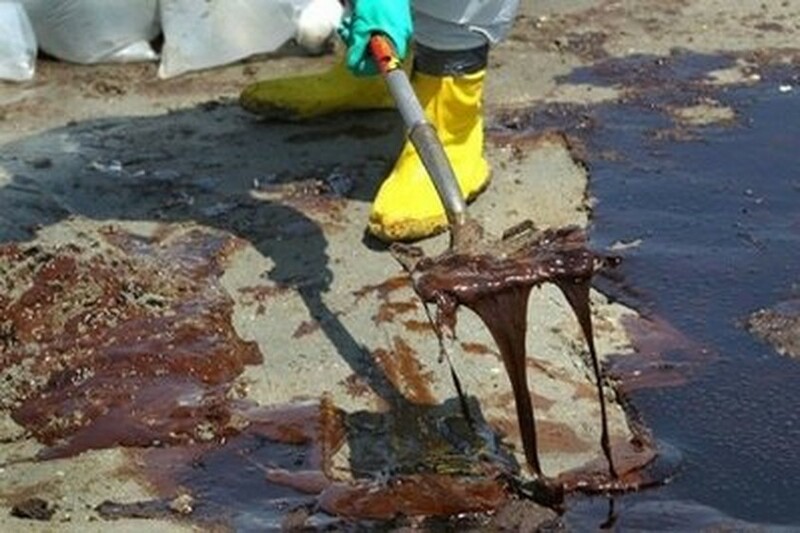 Locals and officials are desperate to see the company stop the spill, which has washed up on beaches and clogged fragile marshlands. Carol Browner, the top White House advisor on energy and environmental matters, said it was the worst spill in US history. "I don't think there's any doubt, unfortunately," she told ABC News. US Energy Secretary Steven Chu was monitoring the "top kill" preparations and told Obama in a phone briefing that BP was conducting "crucial diagnostic pressure tests" before proceeding, according to a White House statement. The process was slated to begin early Wednesday, but BP senior vice president Kent Wells said the tests "could take 12-24 hours." "When the actual kill might go forward, the earliest might be tomorrow and that could extend on from there," Wells said. Even as they kept their fingers crossed that the "top kill" would succeed, officials were readying backup options. But some, including the drilling of relief wells to divert the flow and allow the original well to be capped, could take several months to be realized. At the moment, if a "top kill" cannot proceed, BP plans to lower a containment dome over the leak, sealing it in place to prevent the formation of ice-like hydrates caused by cold sea water mixing with natural gas. Such hydrates caused the failure of BP's first attempt to contain the oil leak by lowering a "top hat" onto it. Wildlife and shorelines across four US states are threatened by the spill, though Louisiana has so far borne the brunt of the disaster, with thick oil washing into its fragile marshlands, coating wildlife in crude. A fishing ban in the Gulf was expanded by more than 8,000 square miles (20,000 square kilometers) Tuesday, closing off an area roughly the size of Greece. In Biloxi, Mississippi, fishmongers said they had been forced to import shrimps from Alabama. "Most of the shrimpers are not allowed to go out," Sean Desporte told AFP. "A lot of clients... are asking if we've found oil in the shrimps." Political pressure was rising in Washington, where the Mineral Management Service, which regulates offshore drilling, came under new scrutiny after a Department of Interior report said staff members used illegal drugs, accepted gifts from oil companies and falsified inspection reports. Obama also raised the oil spill in meetings with Republicans, telling them the disaster "should heighten our sense of urgency to hasten the development of new, clean energy sources," White House spokesman Robert Gibbs said. New hearings into the April 20 explosion on the BP-leased Deepwater Horizon were held in Washington, as lawmakers released details of a preliminary BP investigation that found multiple warning signs in the hour preceding the April 20 blast. Representatives Henry Waxman and Bart Stupak said there were three worrying flow indicators from the well in the hour before the accident alone. But a series of problems were also detected in the 24 hours before the blast, including unexpected pressure rises and fluid leaks, flaws in cementing done to the well, and deviations by rig workers from a drilling plan. Local residents and officials have expressed frustration at BP's failure to stop the leak, and with the pace of the clean-up efforts, but government officials say they lack the equipment or expertise to step in. BP executive Hayward pledged the oil giant would do everything in its power to cap the leak and clean up the damage. "What I can tell you is that we are here for the long haul," the BP executive said. "We are going to clean every drop of oil off the shore."